The density functional theory is used to determine the ground state of quasi-two-dimensional electron-hole liquid in an external electric field. The Schrödinger equations for electrons and holes are solved numerically. 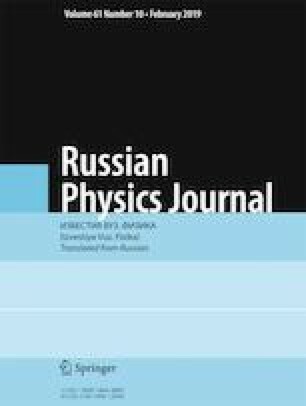 The equilibrium density of electron-hole liquid in SiO2/Si/SiO2 quantum wells is found as a function of the quantum well width and electric field strength. Translated from Izvestiya Vysshikh Uchebnykh Zavedenii, Fizika, No. 11, pp. 157–161, November, 2018.